Here’s a not-so-secret tidbit about arts writing. It can be rather sedentary work, with a lot of watching, listening and then just writing. However on some occasions the watching and listening requires another step, sometimes even a wild and literal one. 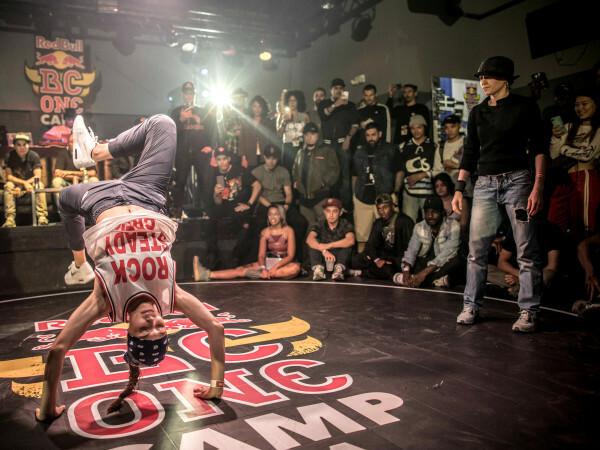 This was the case recently when the world champion breakdancing crew, Flying Steps, came to town for their Red Bull Flying Bach show that continues through Sunday and I was invited to participate in a special breakdancing class for Houston media. My first thought was a calm, collected and appropriate: Oh, hell no. I’ll look ridiculous. But after pondering so crazy an invitation my thought changed to: Why not? The class will be full of other media people so we could all make fools of ourselves together. Plus I do possess a few secret weapons. I have taken at least one Zumba class in the past, and I can do a headstand on my own, without a wall or even the supervision of a yoga instructor. So what could possibly go wrong? Actually, absolutely nothing went wrong. While that one hour class did reenforce my awareness that I will never ever be a professional breakdancer — or any other kind of professional dancer for that matter — I did gain an even greater appreciation for the artistry of Flying Steps, having tried a few of their steps. I also learned that some breakdancing lessons might also apply as dancing-my-way-through-life lessons. This is the most important, so pay close attention. 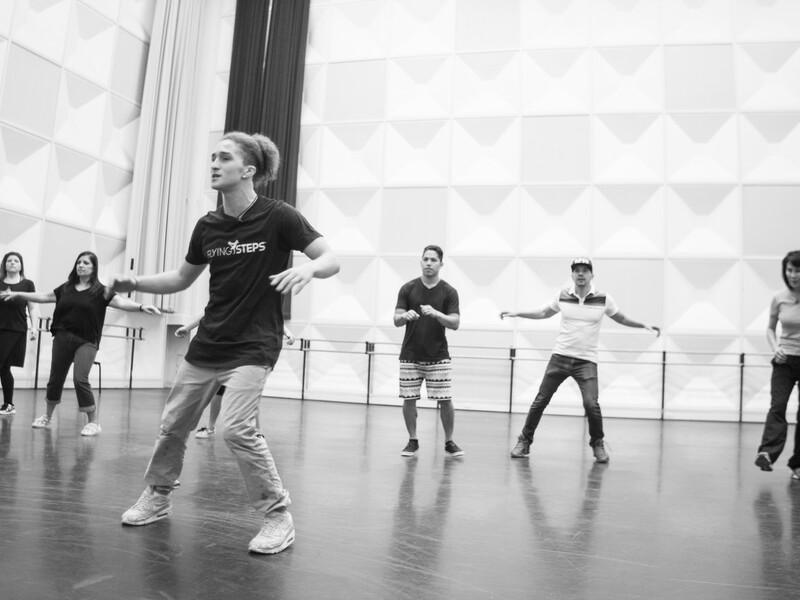 To learn to breakdance in one hour, you better grab a master dancer to teach you. My teacher was Flying Steps member Uwe Donaubauer, (a.k.a B-Boy Real) who looks like he’s about 12 but has the patience of an ancient teacher in a martial arts movie. Donaubauer wowed us media sloths with a short demonstration of full on breakdancing, then showed us that even we could attempt some of those intricate, gravity-flouting moves once we slowed things down. 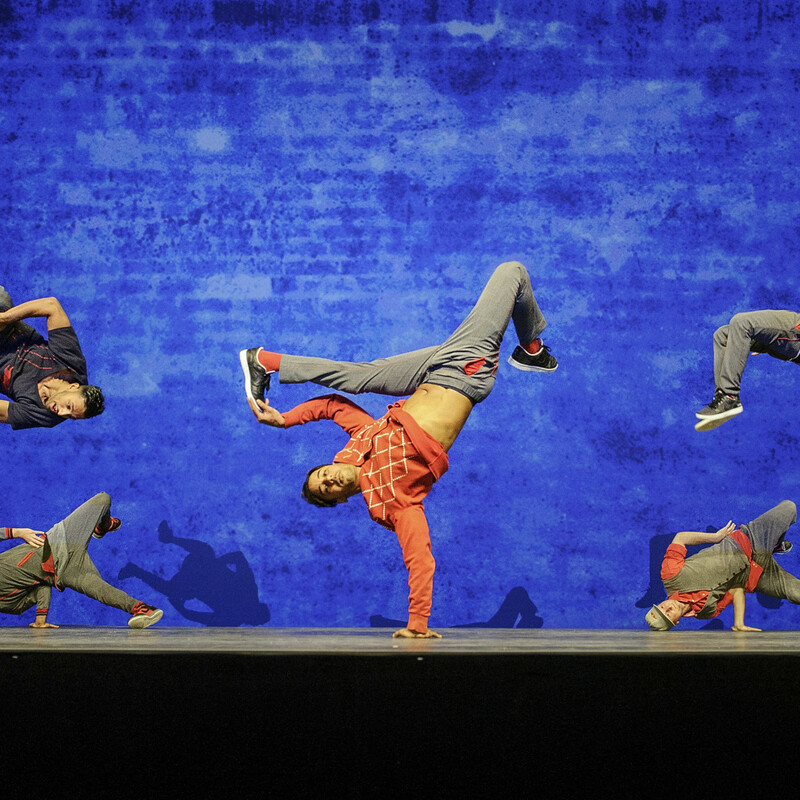 Like many complex skill, learning to breakdance becomes much easier if the parts are broken up, understood and then put back together in their rightful complexity. 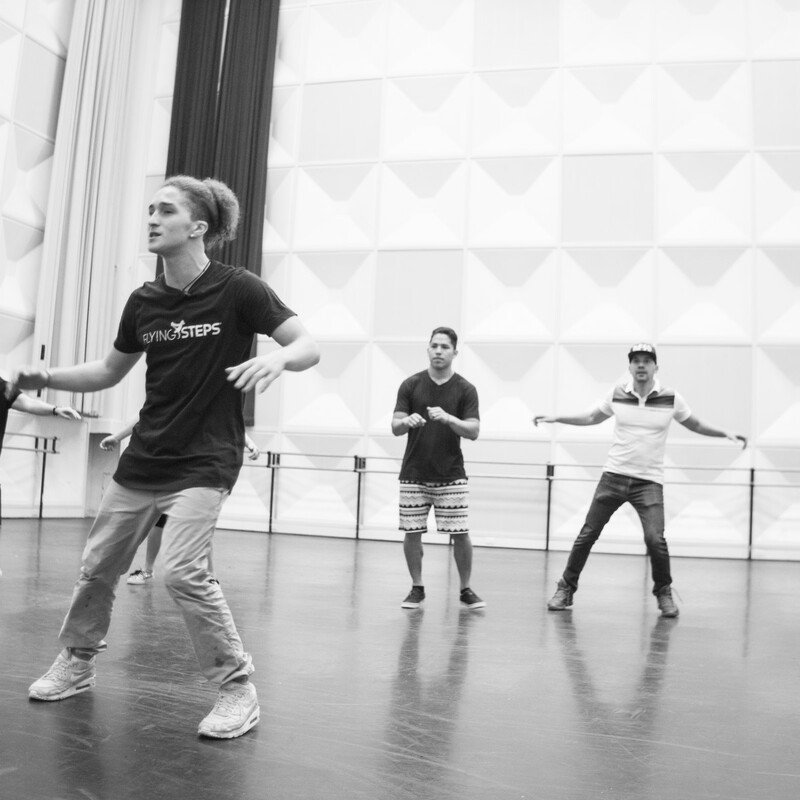 The first moves we learned, were the toprock steps which are the foot movements done while standing. They consisted of dance steps that many people are probably already familiar with, like variations on the salsa. 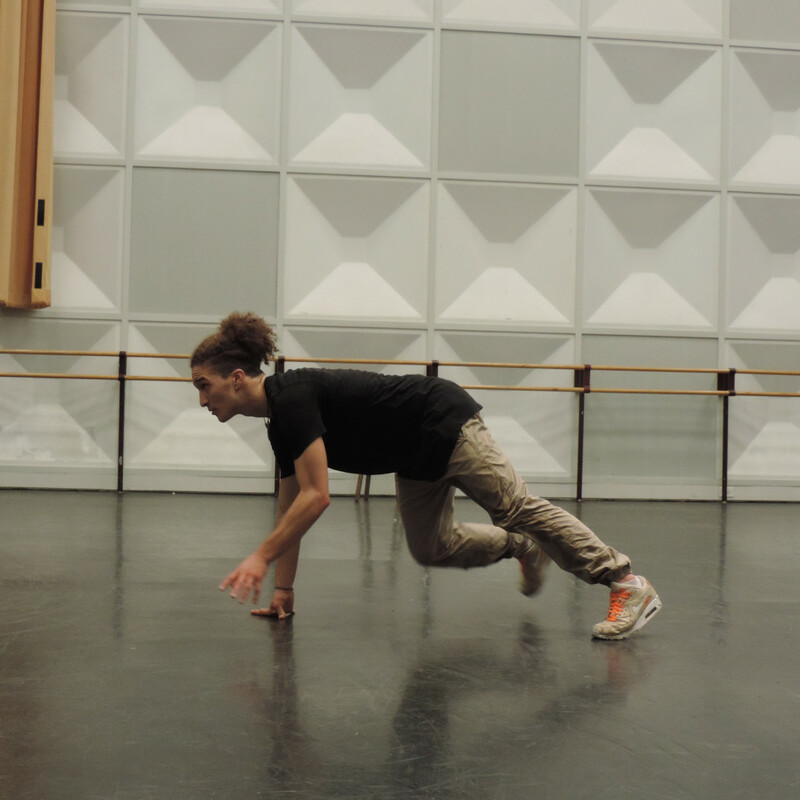 The downrock, or footwork, got us down to the floor via different kinds of corkscrew spins. 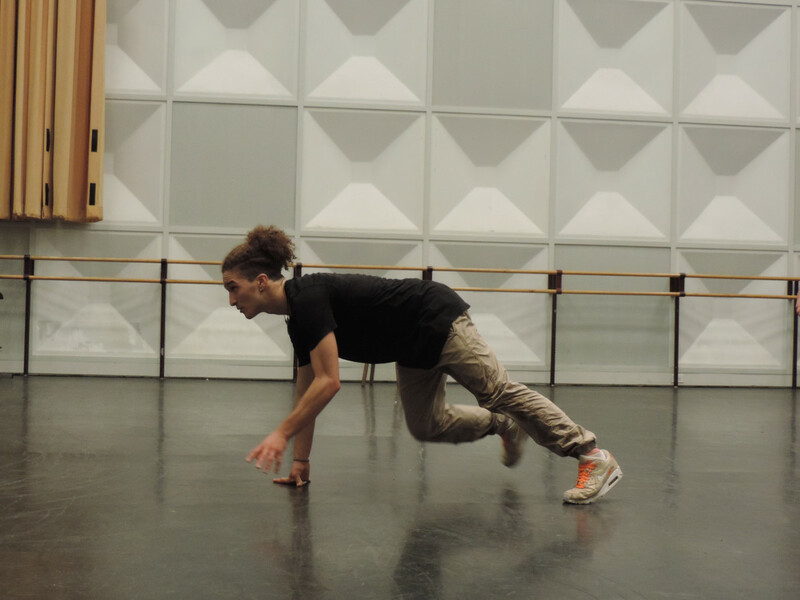 Luckily, Donaubauer took pity and didn’t try to teach us many power moves, the more acrobatic jumps and flips, and freezes, like the frozen poses achieved during head or handstands, that most people probably think of when they envision breakdancing. This was a bit of advice we learned early on when working on steps, and keeping that adage in mind the made up verb I should probably use is “funning” on steps, not working, because when I did stop thinking so much and just had fun, I got a lot better. 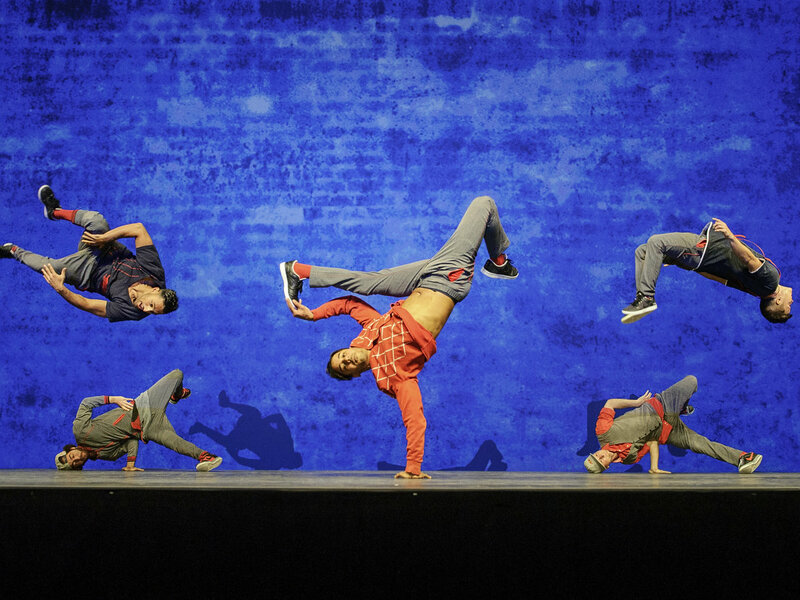 In Flying Bach, the Flying Steps take breakdancing to a whole other mashed up level as they dance to Bach’s The Well-Tempered Clavier. In fact, they go so authentically retro, some of the selections are played on harpsichord. 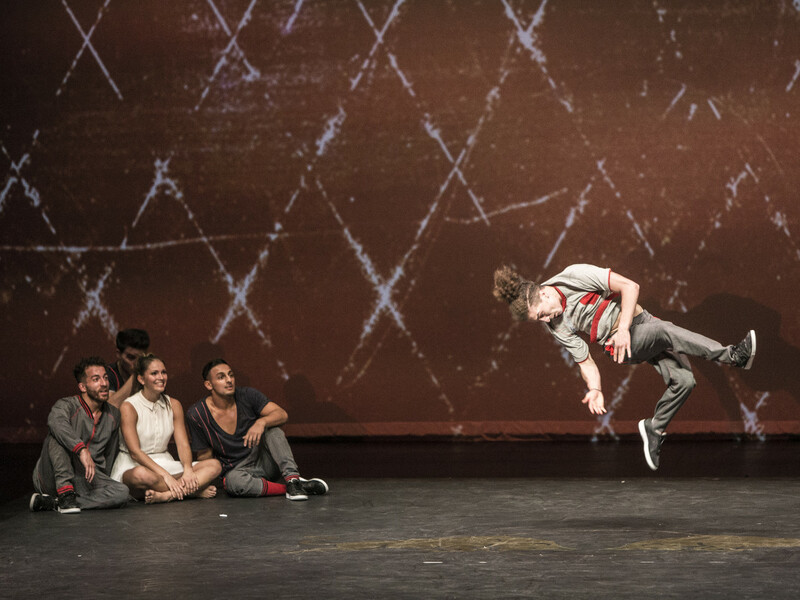 Flying Steps creative director Vartan Bassil first had the idea of breakdancing to classical music, and it was opera conductor Christoph Hagel who brought in Bach and taught them the language of his music. 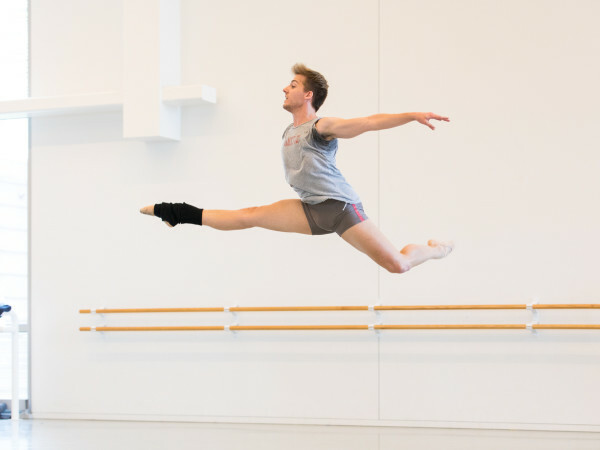 To marry the dance of breaking with the movement and cadence of Bach’s masterpiece is not so easy, even for guys who spend their nights spinning on their heads. After seeing these guys in action at a performance eariler this week, I can go back to arts writing and say they definitely find that energy and send it out onto a Wortham Center crowd that was on their feet, to catch it, by the end of the show. 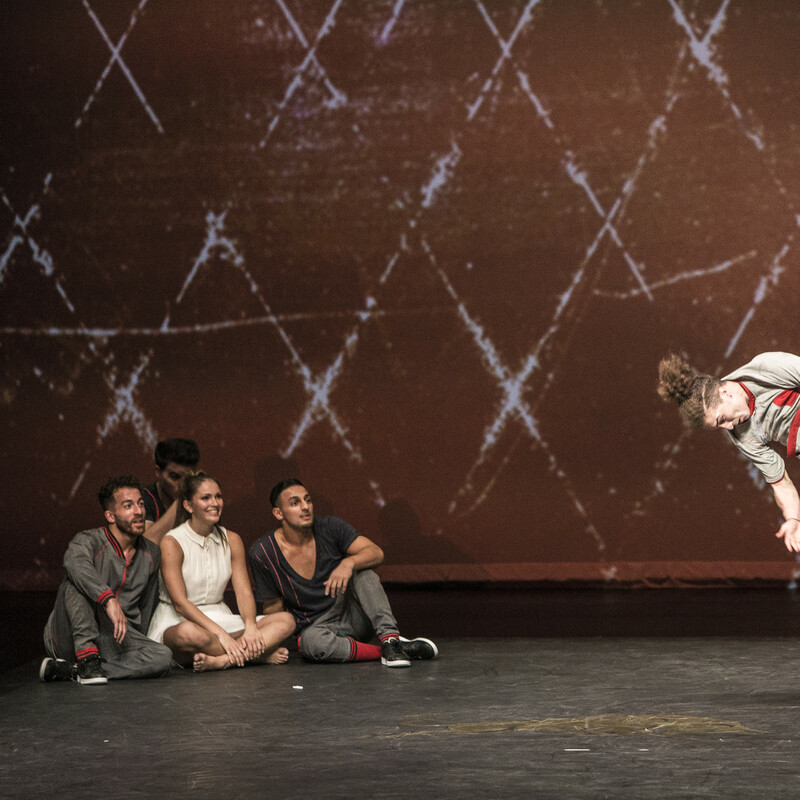 The Flying Steps present Red Bull Flying Bach through Sunday at the Wortham Theater. Visit their website for more information and tickets.